On Saturday night I started not feeling very well, so Morgan and I spent most of Sunday just relaxing and watching episodes of our latest tv addiction – Mad Men. If you haven’t seen Mad Men, it’s an AMC drama that begins in 1960 at an ad agency in New York City. If you can let yourself get past the exorbitant sexism of the 1960s which the show captures a little too well, it really is enjoyable to watch; however, I think I’m experiencing some unintended side effects from watching it. I also made a matching Indian style rice pudding to go with the Tandoori Chicken I planned. And I thought ahead enough to make a side dish. Usually all my efforts go into the main course and I skimp a little on the sides. Don’t worry, I’m sure all this primping and organization will quickly pass, but I may have done a bit of a 1960s skip when my husband started raving about how this dinner turned out. As you might imagine I’m always trying new things in the kitchen, so when Morgan really gets excited about something it’s very encouraging! This is probably the closest to an authentic Indian style meal that I’ve gotten. It’s also, somehow, fairly easy to make. No painstaking prep work or hours of simmering spices – a great marinade does most of the work. I adapted this from a David Lebovitz recipe to make it a little more accessible for every day cooking. 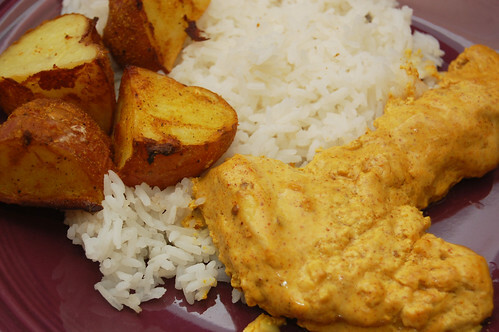 I removed some of the more exotic ingredients, like saffron powder or saffron threads, used non-fat yogurt instead of whole milk yogurt, added in some yellow curry powder and replaced the chicken thighs and legs with simpler boneless chicken breasts. 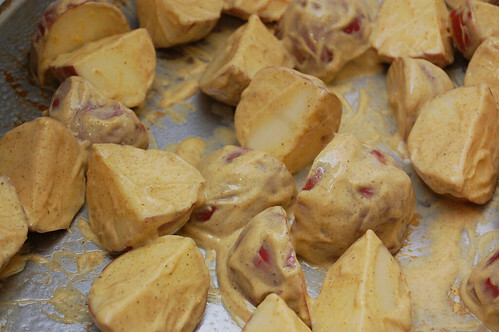 I also quartered some small red potatoes, coated them in a yogurt and curry dressing to compliment the chicken and roasted them until done. The yogurt gives the chicken a lot of tang. It’s spicy, but not particularly hot. We really enjoyed this and hope you do, too! 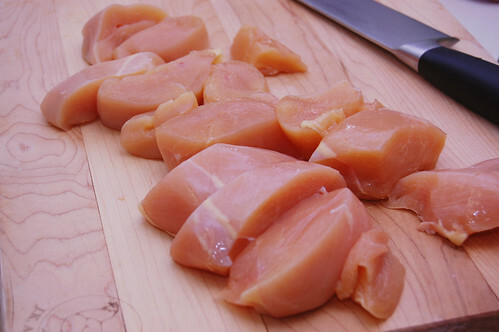 Cut chicken breast in half lengthwise. Add all the remaining ingredients to a gallon ziploc bag, squeeze out the excess air and seal. Massage the bag to mix the marinade and coat chicken. Refrigerate for several hours or overnight. Preheat oven to 400F. Cover a large baking sheet with foil and place chicken with the thick marinade on sheet. Bake for 20 minutes, or until cooked through. Add all ingredients to a large ziploc bag and massage to coat. Pour contents of bag onto baking sheet, setting some of the liquid aside. Roast potatoes for approximately 40 minutes, pouring the remaining liquid over the potatoes and turning at the halfway mark, or until a fork inserted into potato goes in easily. *Note – potatoes do take a long time to cook, so you will want to begin this before the chicken. When potatoes are done, set in a bowl and cover with foil – they will keep hot. 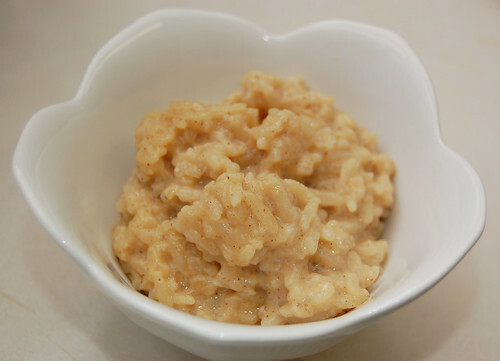 If you’d like to make rice pudding for dessert, you may like to use your leftover rice from dinner with this recipe from Elise. I used this minus the raisins. 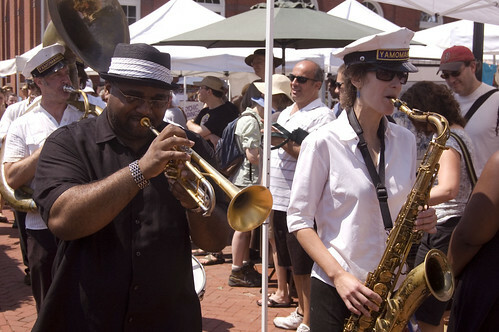 Eastern Market is a bit of a cultural icon in the DC area; being one of the oldest farmers markets in the DC area. In 2007 it was ravaged by a 3-alarm fire; practically destroying the south hall, the only original building remaining. This was quite the loss for the community. Sure, there are plenty of markets in the area and they’re all great, but the Eastern Market is THE market of DC. People have been hard at work to restore the building and this past weekend Eastern Market had its grand reopening. The old building was back in action with all the old vendors (and AC!) and was packed with people. I came out and enjoyed the festivities, picking up some fresh produce for the weekend’s meals. If you ask me, local in season tomatoes just taste better and when you have a simple recipe like this quality ingredients are important. This summer salad is not your conventional salad; no lettuce to be found here. It’s a nice variation. Be sure to use fresh, high quality ingredients for this simple recipe. 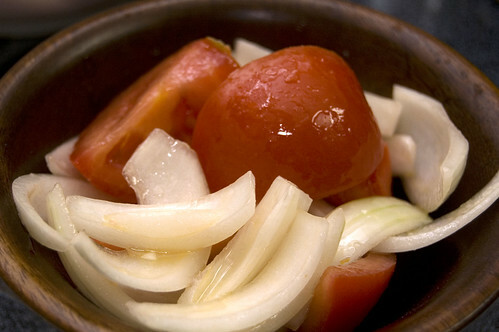 Cut your tomatoes into quarters and your onion twelfths. Combine all your ingredients in a medium bowl and mix to combine well. Serve with a grinding of black pepper and enjoy. When it comes to soups, I’m usually not a fan of cream-based broths. I don’t want a soup that rich and milky; zest, spice, hearty is what I go for! Of course, there are a few exceptions (borscht, wild rice roup), and today we’ve got another one. 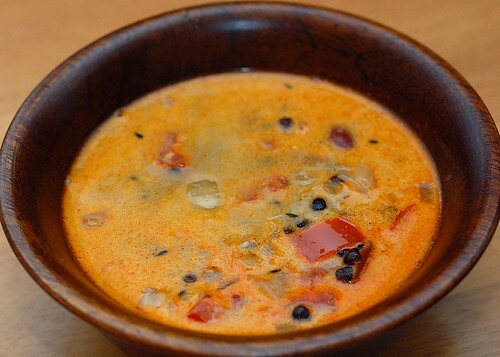 Dal Makhani is a delicious Punjabi soup with black lentils and cream that I’m quite fond of at local restaurants. The problem of course, as with many restaurant-made dishes, is that it tends to be rather unhealthy; as they add much more cream and butter than you or I would add in something made from our own kitchen (this is a pet peeve of mine). So what to do? Try to make a healthier version, of course! This project was a bit problematic for several reasons. First, black lentils are a bit hard to find. I scoured the shelves of several grocery stores, specialty and general, to no avail. 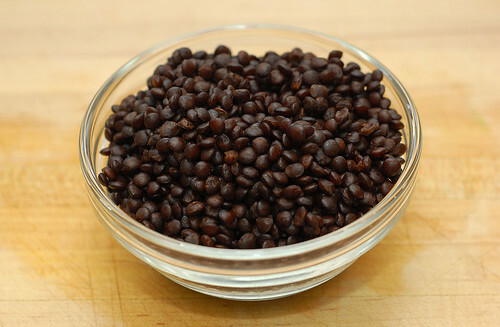 The best I was able to find was pre-cooked black lentils at Trader Joes. Second, Dal Makhani is traditionally cooked for a very long time under low heat. Who has the time for that? I plan to try with a slow cooker one day, but for this I just settled on a short duration. And finally, there’s the whole butter and cream thing. Let’s be honest. We all have restaurant dishes that we love, due in no small part to the bad-for-you stuff they add. Better to compete with subtle flavoring than overwhelming your taste buds. This dish won’t knock anyone’s socks off, but it’s a good simple meal. 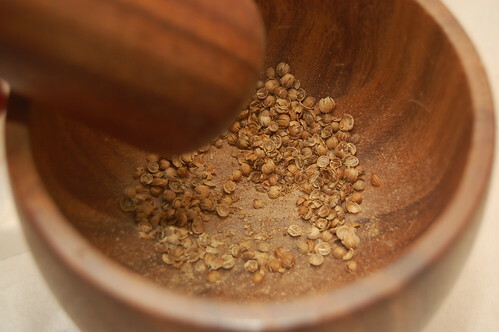 Under medium-high heat, heat the ghee until hot then add the cumin and fennel seeds. Stir until they crackle and become fragrant. Add the onion, ginger, garlic, chili powder and tomato paste and saute for 5 minutes. Add the additional ingredients along with any water to get the thickness you prefer. Simmer for 30 minutes. Enjoy. 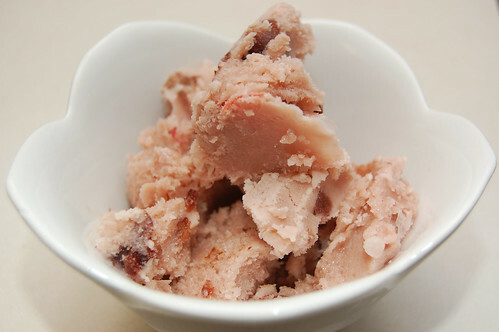 It’s hard for me to resist eating all the frozen cherries before adding them to the ice cream… but I try! My sister recently returned from a year in Marshall Islands working with World Teach. Before that she lived in Alaska for several yearss. With all this traveling, she hasn’t been in the area much, so it goes without saying that our mother was quite ecstatic about her arrival. But she’s not in town long. In a matter of days she’s off to Chicago to prepare for graduate school. Because of this and Father’s day, I decided to spend the weekend in Richmond seeing family and catching up. I’ve been trying to spend more time experimenting with different varieties of vegetarian dinners; those outside my traditional niche of soup, salads and roasted vegetables. I’ve never done much with the faux meats (tofu, tempeh, seitan), but hey, gotta broaden those horizons. I wanted to start with something that reminded me of what I use to eat when as a kid (this is Edwin’s family post). When I was growing up, there were certain meals we’d always have. Mondays were spaghetti night, Fridays were pizza night (and TGIF!) 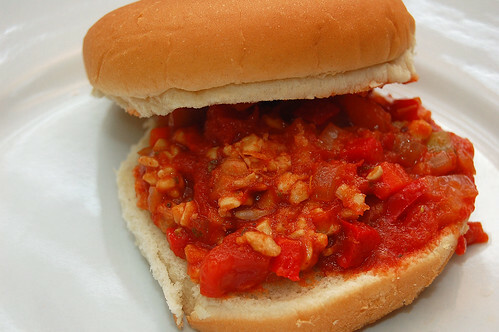 and not every week, but pretty often there’d be sloppy joes night. I loved sloppy joes night. We never had it with hamburger buns. We always ate it with regular sandwich bread and french fries on the side. So. Good. So here’s my attempt at replicating that old classic with tempeh and NO can of manwich. Will it fool anyone into thinking it’s the real deal? No. Is it good? Definitely. 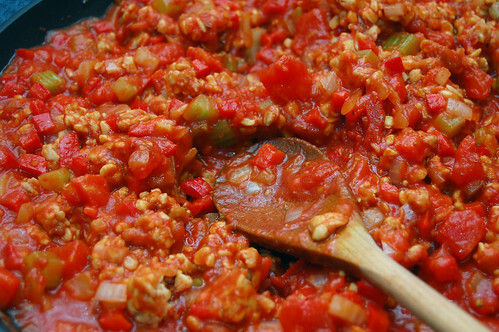 Sweat the onions, garlic, red bell pepper and celery under medium low heat in a large pan for 15 minutes; stirring occasionally. Add the herbs, sugar and spices along with the three cans of tomato. Raise the temperature to medium and stir for a few minutes. Add the tempeh and continue to cook until everything is heated through. Serve and enjoy. It seems fitting to share this cake today, just after father’s day, because this is a cake I worked on with my father in mind. I’ve mentioned before that my dad adheres to an extremely strict and healthy diet (no eggs, butter, oil, cheese, etc.). This is hard for me, because I think trying to make desserts healthier is a slippery slope. I’ve been scorned by too many dry bran muffins and eggless applesauce cakes. However, I saw a recipe for a Pink Lady Cake on Smitten Kitchen, and I thought it might translate well to a healthier version. Instead of a large triple layer cake I decided to cut down on the portions and make it into a bundt cake. I also used egg white substitute and I Can’t Believe it’s Not Butter’s new Cooking & Baking sticks. I also left out the cream cheese frosting. The cake was so moist that a rich frosting wasn’t necessary (nor did it fit with my plans of being healthy!). This is great with just some fat free Cool Whip and fresh sliced strawberries. Enjoy! Preheat oven to 350F. Grease and lightly flour bundt pan. Combine flour, sugar, baking powder, and salt in a large mixer bowl. 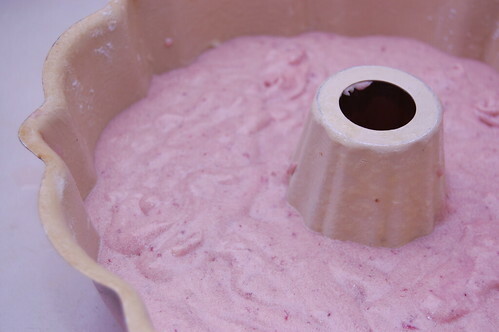 Add room temperature butter and strawberry puree; mix to blend the ingredients. 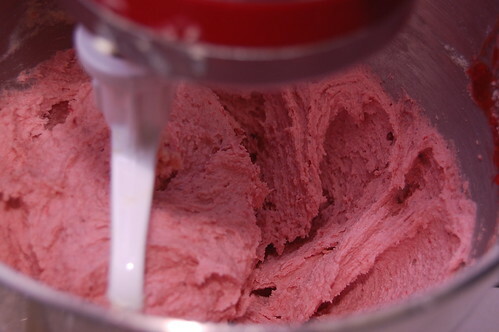 Raise speed to medium and beat a few minutes until fluffy (at this point, Smitten says, the batter looks like strawberry ice cream and warns not to try it – and she is not lying! It’s delicious!). 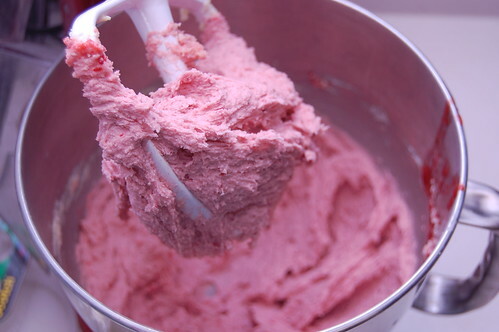 In another large bowl, whisk substitute egg whites, milk and red food dye to blend. 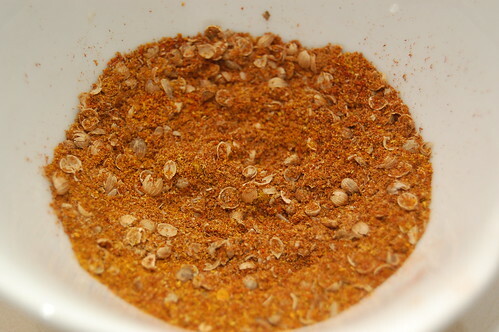 Add the whites batter gradually, scraping down the sides of the bowl well periodically and mixing only until combined. Pour batter into bundt pan. Bake for about 40-45 minutes (keep an eye on it though to prevent overbaking), or until toothpick inserted into the center comes out clean. Cool in pan for 15 minutes, then carefully turn out onto a wire racks to cool completely. 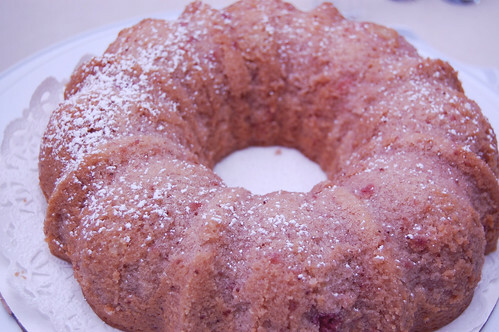 Sprinkle with powdered sugar and serve with a dollop of cool with and fresh strawberry slices. Welcome to our second installment of Foodie News! Click here if you missed our first edition at the end of May. Today we have a fairly healthy round up of foodie news and tips for you – some have made an appearance on our Twitter feed, but some are brand new! There are tons of diets out there (right now I keep hearing about the P90X? ), but have you heard about the Mayo Clinic’s Recommended DASH diet: Healthy eating to lower your blood pressure? The DASH diet encourages moderation and emphasizes portion size and eating a variety of foods and getting the right amount of nutrients. Moderation instead of fad diets?! Crazy, we know. 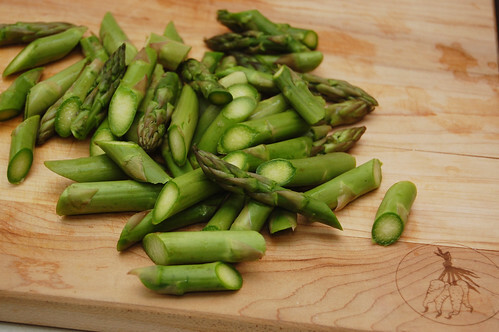 Dorie Greenspan lends a few tips on buying, keeping and cooking asparagus that shouldn’t be missed. She also explains the differences between white and green asparagus. Meat is one of the most expensive things Americans eat. 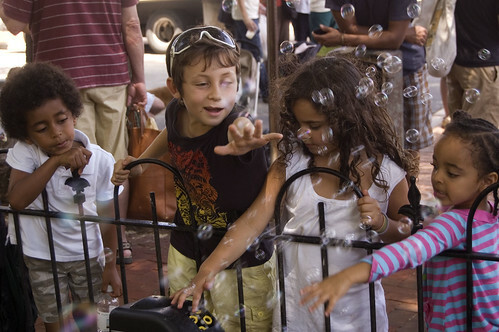 Is it any surprise that in today’s economy more people are turning to cheaper options? The economic downturn may have a positive effect on the meat-heavy American diet, says Gourmet.com. Think these “Recession Flexitarians” will last? Cereal claims to be a healthy option. I’ll embarrassingly admit that I ran out to get more Grape Nuts when they launched their “Eat 2 Lose 10” campaign. A new report assesses the nutritional content of 100 breakfast cereals, detailing the salt, fat, saturated fat and sugar contents per 100g, and listing the worst offenders and healthier options in each category. Minicows! Seriously… minicows! One Slate writer wanted to get snarky and lament more genetic engineering, but then he realized he had it backwards. After years of genetically modifying cow genes, economic and ecological forces are now pulling us back to the original gene pool. Have a lovely weekend, DinnerCakes readers! “What’s this black sludge?” Not the words you want to hear from your husband while his head is in the fridge. When I told him it was an experiment, he looked even less convinced. Now, the comment was unnecessary and snarky, and I’m not saying I believe him, but it did get me thinking. I’ve always been a soda drinker more than a coffee drinker. My own breakfast of champions, I used to start out the day in high school with a Coca-Cola, followed by one at lunch and another when I got home from school. One can of Coke is, what, 140 calories? Multiply that by three and you get 420 extra calories per day that were giving me absolutely nothing in return. When I made the switch from regular Coke to Diet Pepsi back in college, I was thrilled to find that I also dropped a few pounds (byebye, extra 420 calories!). After and since college I finally dropped my soda consumption down to just one can a day (of course, not including weekends, free refills at restaurants, giant size fountain soda cups, etc…). But even though I dropped those extra calories in regular soda and I decreased the volume I’m drinking, what am I really giving my body in return? Besides the sweet jolt of cold caffeine and the refreshing taste, ignoring the slightly troubling burn of soda as it goes down the throat, what is the nutritional value? The Pepsi Products website lists the ingredients as CARBONATED WATER, HIGH FRUCTOSE CORN SYRUP, CARAMEL COLOR, SUGAR, PHOSPHORIC ACID, CAFFEINE, CITRIC ACID, NATURAL FLAVORS. 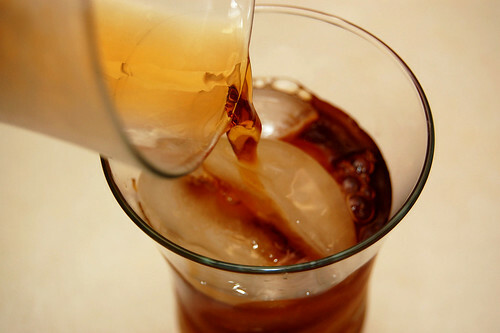 What’s really natural about soda? I don’t mean to get preachy here. As far as vices go, one Diet Pepsi per day is pretty darn good! But what if I could replace one vice with a slightly less harmful and more natural vice? And that’s how my husband arrived at “black sludge” in the fridge. The sludge was actually coffee grounds and water, being cold brewed overnight. I’ve read it’s the only way to make good iced coffee. Before you recoil at the phrase iced coffee, know that I am a reformed skeptic/hater of the stuff. Every time I’d had it in the past it was sharp and bitter, too reminiscent of hot coffee gone cold and left to sit for hours in the pot. Then I tried Starbucks Iced Coffee, Sweetened, with Non-Fat Milk – only $1.95, beckoned the billboard outside the store (and only 80 calories, says the website). It was so much better than any iced coffee I’d had before, and I decided it was time to harness the power of iced coffee in my own home and pocket the $1.95. 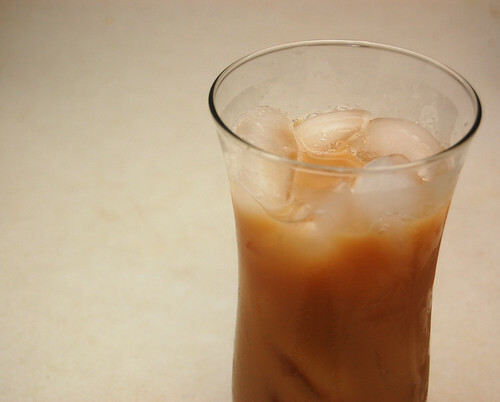 I’ve seen a lot of recipes for iced coffee on the internet, and I’m sure you have too. Even the recipes that use the cold brew method, though, don’t seem to go that extra mile and tell you how to make it Starbucks style. If you’ve ever watched the TV show “True Blood,” there’s a scene where the grandmother wonders why on earth anybody would pay three bucks for “a cup of coffee with too much milk.” Well, I do it because I enjoy the extra milk and sweeteners! I also appreciate the ease of just walking in and grabbing a cup. The cold brew method does require a little planning ahead, but the prep is minimal. For once I’m so glad I gave in to the billboard advertisement and tried a Starbucks iced coffee. Though I will say, I went back for a second one yesterday and it was very bitter and nowhere near as good as the first one. I’m thinking they may have forgotten to sweeten it, or maybe I’m just used to my home-brewed version by now! This recipe isn’t an exact replica of Starbucks of course, but it gives me exactly what I wanted – an ice cold, mostly natural, smooth, sweet and refreshing caffeinated beverage. It’s very much like the frappuccinos that you can buy in grocery stores. This summer I’m going to try swapping out the additives and unnaturalness of soda without giving up the caffeine (this is officially my third day “off the sauce,” lots more to go!). Why don’t you try it with me? 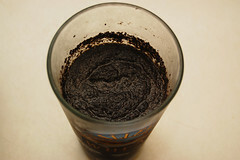 Step 1: Combine 1/4 cup coffee grounds and 1 cup cold, filtered water in a 2-cup measuring cup. Stir to combine, and refrigerate overnight. 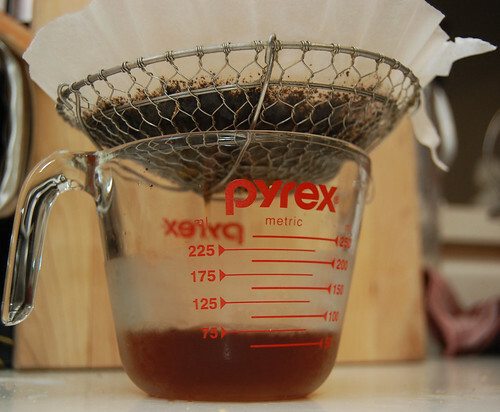 Step 2: The next morning, add the remaining 1 cup of cold, filtered water to the cold brewed coffee. Stir to combine. Pour into a separate large glass and rinse 2-cup measuring cup to use for next step. Step 4: Fill two large glasses with ice and divide cold coffee between glasses. Add 1/4 cup non-fat milk, 1 1/2 to 2 tablespoons sugar, and 1/8 teaspoon vanilla extract to each glass. Stir and enjoy! 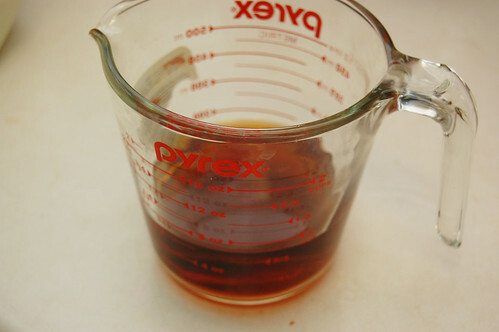 *Note – For the best and most even distribution of sugar, consider making a simple syrup. You can actually make a good amount at once and then just store it in an empty bottle in the fridge to use as needed. 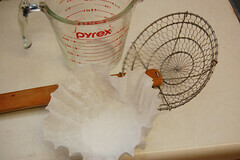 Here is a great how-to for simple syrup.